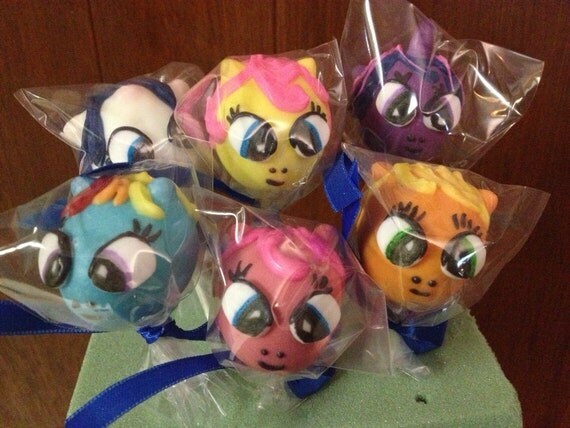 This listing is for 12 (one dozen) My Little Pony cake pops. Made with chocolate cake, candy embellishments, fondant eyes and individually wrapped. 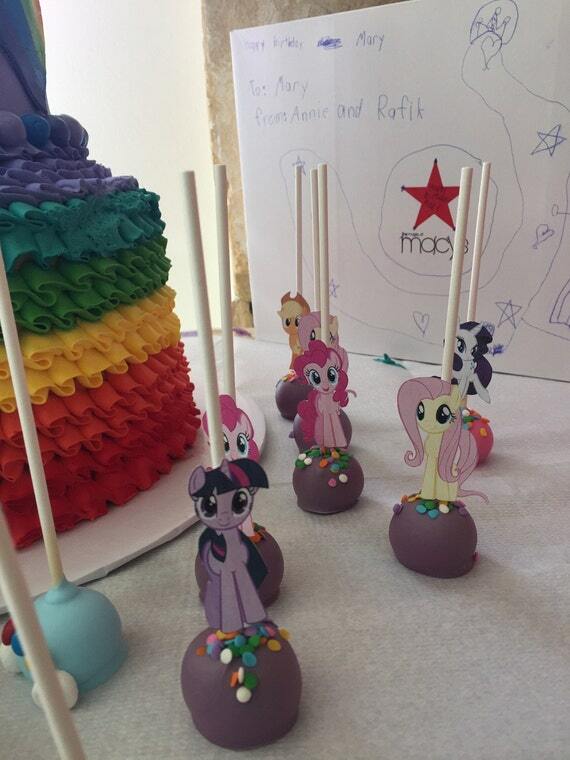 My Little Pony cake pops! 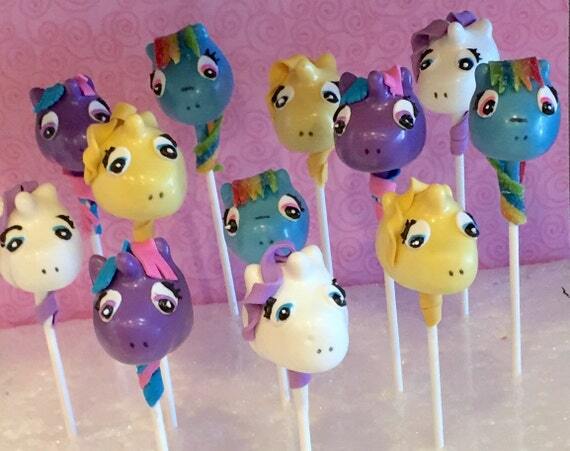 These delicious cake pops will be the perfect addition to your party! Set them up on the candy table or use them as favors. Each pop comes individually wrapped with a matching ribbon. This listing is for a dozen, however, larger quantities are available. Message me for any questions! 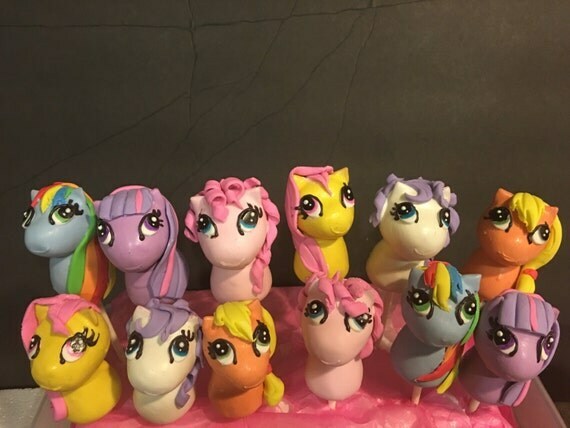 16 cake pops come in a set. Individually wrapped. This set of 16 Chocolate covered cake pops comes individually wrapped in a plastic bag with a treat stick. Makes a perfect baby showers, birthdays or Wedding favor or treat! The flavor of the cake can be altered, Just message me!